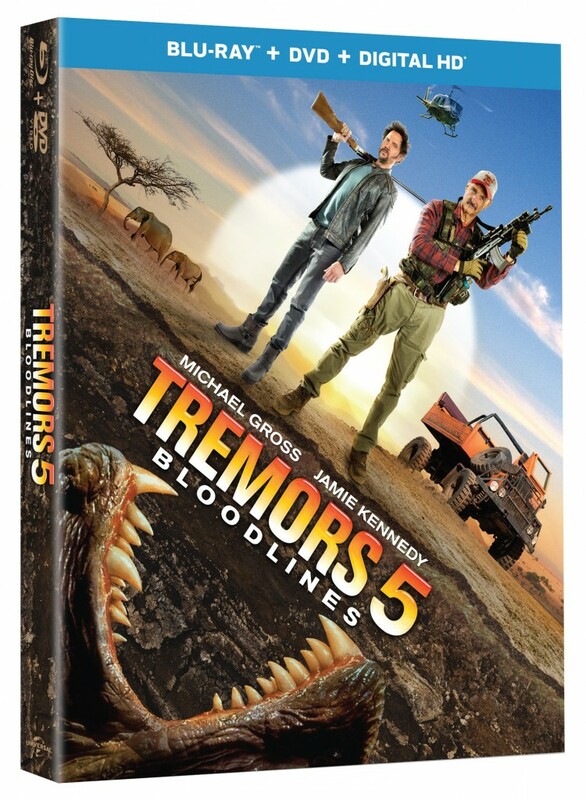 Tremors 5: Bloodlines Debuting on Blu-ray and DVD!!! If you haven’t gotten your fill of giant worms terrorizing people, you’re in luck because the Graboids are back and giving the inhabitants of a South African wildlife preserve hell from above and below. 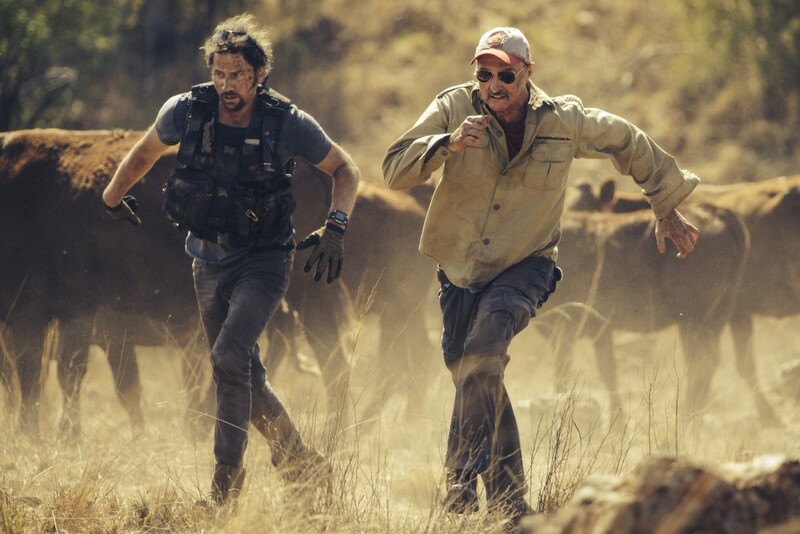 That’s right, ‘Tremors 5: Bloodlines‘ is heading to home video on October 6, 2015. One cast member remains the same as Michael Gross saddles up for, yet, another adventure busting assblasters all over the place, however Jamie Kennedy has come aboard as a new sidekick for Gross‘ Burt Gummer. The stakes are raised for survivalist Burt Gummer in his most dangerous monster hunt yet. When Gummer’s hired to capture a deadly Assblaster terrorizing South Africa, he and his new sidekick, Travis Welker (Kennedy), find themselves in a battle to the death against the fiercely aggressive Assblasters and Graboids. Discovering that the monsters have evolved into even more lethal creatures, their mission takes on a whole new level of unseen terror — far more than they bargained for. Check out the Blu-ray and DVD for over 25 minutes in bonus features, outtakes and even a behind-the-scenes look at the making of the latest in the franchise that began in 1990. ‘The Garbage Pail Kids Movie’ Will Be Glorious On Blu-ray!!! ‘American Sniper’ Digital, Blu-ray and DVD Release Set For May!!! ‘A Girl Walks Home Alone At Night’ Heading To DVD!!! This entry was posted on Monday, August 17th, 2015 at 5:06 am	and is filed under Film, News. You can follow any responses to this entry through the RSS 2.0 feed. You can skip to the end and leave a response. Pinging is currently not allowed. « Trailer Just Dropped For Western, ‘The Keeping Room’!! !